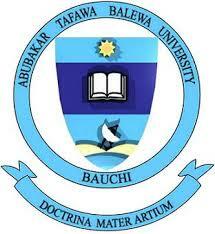 Abubakar Tafawa Balewa University (ATBU) is now selling its Direct Entry (DE) online screening exercise application form for the 2018/2019 academic session. ATBU Direct Entry form is available for purchase online. Generate the REMITA Retrieval Reference [RRR], Proceed to make payment of Two Thousand Naira (N2, 000.00] only as charges for the online Screening, into ATBU account using any Bank of your choice. Upload your recent passport size photograph. Fill the Bio-Data Form and other the relevant fields as provided. The Portal will remain open from Monday 6th – Friday 17th August, 2018 to enable you upload your Data. Note that the original copies of your credentials will be verified at the point of physical screening at Faculty/Central levels in due course to ensure your qualification into the course subscribed for. When is the direct entry for 2019 is coming out? what is the cutoff marks for the D.E?